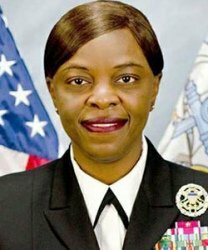 First African American female from the State of Georgia to achieve the rank of Rear Admiral in the United States. This pioneer retired at the Flag Rank of Rear Admiral (September 2015). On November 1, 2015, she began her Federal career as the FAA Assistant Administrator for Human Resource Management.